Wedding / Husband / Dating / Marriage / Spouse Currently Married. See details below. 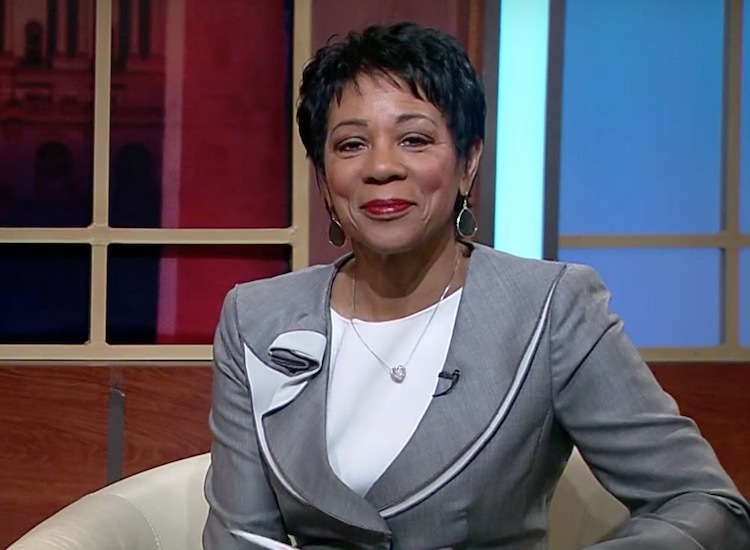 Andrea Roane anchors the WUSA 9 News at Noon WUSA9 (CBS) in the Washington D.C. Metro Area. She has been at the station for an incredibly close to 4 decades! Now in her sixties, Andrea was born on October 5, 1949 in New Orleans, Louisiana to parents – Frederic and Ethel Roane. She has since lost her father, and remains close to her mother. She is married to her husband Michael Skehan and they live in Washington, DC. They have a daughter Alicia who is married and they 2 children – 2 Boys named Dillon & Andrew. Roane attended Louisiana State University, New Orleans (now the University of New Orleans) and obtained an undergraduate degree in Secondary Education 1971 and a graduate degree in Drama & Communications in 1973. From 1971 to 1974, Andrea worked close to her education degree and worked as a middle school and high school English teacher. She was also the coordinator of cultural services for the New Orleans Parish Public Schools, and served as an administrator and principal of the New Orleans Center for Creative Arts. In 1975, she started her transition to reporting and accepted a position as an education reporter for the New Orleans public television station WYES, where she also hosted a weekly magazine show & was the station’s project director of a federally funded education show. Roane then went to work for WWL-TV, a CBS affiliate, as an education reporter from 1976 until 1978. Andrea returned to WYES for one year before making a move to leave New Orleans and go to Washington, DC. From 1979 – 1981 as the host & chief correspondent for METRO WEEK in Review at WETA, a Public Television in DC. In 1981, Roane then went over to WUSA 9, the CBS affiliate station that serves the DC, Maryland and Virginia region, as the Sunday evening and weekday morning anchor. She has since anchored every news program from morning to afternoon, and even late night. She currently anchors WUSA 9 News at Noon and is the station’s Medical reporter. Her reporting has earned her multiple EMMY and GRACIE awards and has taken her all around the world. Roane is mostly known for her passionate reporting on breast health issues and promoting the importance of lifestyle changes & quick detection in the fight against breast cancer. She founded the “Buddy Check 9” program, which she has promoted on the air for over two decades. The program encourages women to perform breast self-examination and call a friend or relative to remind her to do the same. This is done on the ninth day of every month. Her commitment to women’s health and community service has been recognized with countless national and local awards. In addition to Breast Cancer Awareness, she is an advocate to many other charities and causes such as the National Museum of Women in the Arts; the Catholic University of America; the International Women’s Forum-DC, and the NAACP to name just a few. For her service to the community & profession, Andrea was awarded an honorary Doctorate of Humane Letters from Marymount University. Despite her long tenure at the station, there was a point in time where she was working without a contract for some time. Her favorite food is soft shell crab. A huge New Orleans Saints’ fan, Andrea is also quite athletic herself. She has tried her hand at golf, and walks several miles regularly with her husband. Birthday / Date of Birth / Age As of 2018, her age is around 68.